Eskenzi PR have once again decided to run Security Serious Week from 3rd TO 7th OCTOBER to encourage UK Plc to take security more seriously. The whole ethos of Security Serious Week is to garner the cybersecurity community to give something back and encourage others to take security more seriously in the hope that together we can create a more secure environment to do business and ultimately act as an enabler to make UK PLC a safer place to trade online. During the inaugural Security Serious Week last year, over 3000 people took advantage of the 45+ webinars and over 100 people came together for a photocall outside the Tower of London to show that they are “Security Serious”. This year we are introducing two new events to run alongside the Week. The first is a Security Serious Conference; on the morning of 3rd October the second is the Unsung Heroes Awards on 6th October. Why you should you hire a hacker – with speakers such as Jennifer Radcliffe, a well known social engineering expert, Ian Glover head of CREST and Pete Wood, an ethical hacker. If you would be keen to be a speaker or indeed attend, please email saul@eskenzipr.com. These awards are taking place for the first time this year on October 6th in Spitalfields to celebrate the people, not the products, who work tirelessly securing UK businesses, Government and the national critical infrastructure. These are the women and men who have on numerous occasions saved our bacon, from companies being brought to their knees by a breach or a continuity disaster. There will be no fees to enter the awards or indeed if nominees are shortlisted, they won’t have to pay to come to the awards night either. In order to make this financially viable, we have 10 sponsors paying to cover the costs of the event, including Mimecast, Acumin, AlienVault, Netskope, Lastline, whiteCryption, Imperva, CrowdStrike, Publicis Groupe, Varonis, Proofpoint and GSK. The whole ethos of Security Serious Week is to garner the cybersecurity community to give something back and encourage others to take security more seriously in the hope that together we can create a more secure environment to do business and ultimately act as an enabler to make UK PLC a safer place to trade online. 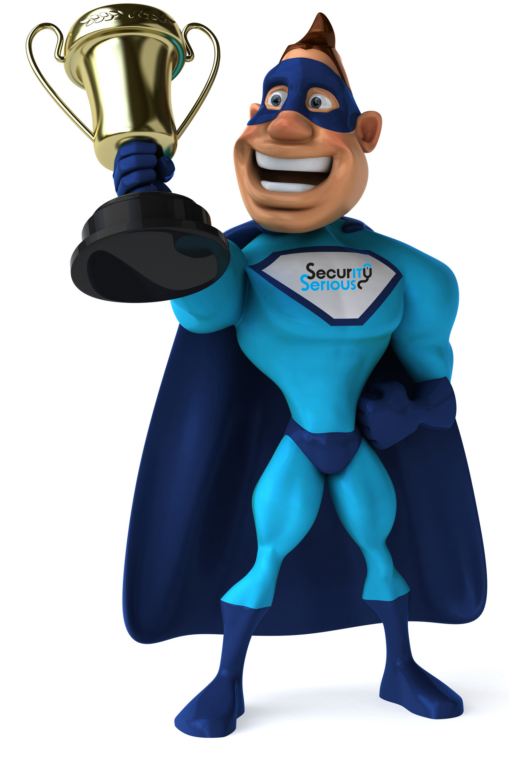 THE DEADLINE FOR THE UNSUNG HEROES AWARDS HAS BEEN EXTENDED TO FRIDAY 22ND JULY SO IF YOU THINK YOU ARE DESERVING OF AN AWARD OR WOULD LIKE TO NOMINATE SOMEONE WHO IS please go to www.securityserious.com.